Yup, Episode 93. I would say more but I'm slightly overwhelmed with the amount of shite multitasking I'm currently doing (kinda dashing back and forth between two computers at opposite ends of the room at the moment, which neither makes me feel like a mad scientist or a keyboardist in Journey but just someone who is old, Internet, so terribly old). On the other hand (and behind the jump): show notes! 0:00-7:51: Greetings; getting schooled by Graeme on Tharg and the mascots of 2000AD and other British comics, with a half-hearted attempt by Jeff to pitch Mascot Wars [working title] 7:51-11:37: By contrast, Jeff guiltily admits he's been reading the first volume of the Vampirella Archives 11:37-13:37: Somehow this leads to a discussion of the fascinating copyright information found in Dynamite Books 13:37-15:51: Bless him, Jeff is not giving up so easily on his Mascot Wars idea 15:51-18:55: Jeff gripes about getting back into the routine after his Portland trip, Graeme gripes a bit about getting back into his routine after the 4th of July holiday 18:55-20:52:And so, finally, we start talking comic news--the announcement of Marvel NOW! and the launch of Monkeybrain comics. 20:52-24:35: Graeme has a thing about the Uncanny Avengers cover and I really cannot blame him; 24:35-25:57: And since we are on the subject, Graeme has a few things to say about that Marvel NOW! image by Joe Quesada, too. 25:57-38:25: And so we talk about Monkeybrain instead, including Amelia Cole by friend of the podcast Adam Knave, Bandette by Colleen Coover and Paul Tobin, the other launch titles, and what we would like to see from the line in the future; 38:25-41:54: Speaking of fantastic digital comics, the second issue of Double Barrel is out! And neither of us have read it. But it is out! And you should consider getting it. Because it is also Top Shelf and also coming out in digital, we talk James Kochalka's American Elf. 41:54-49:57: Jeff talks about League of Extraordinary Gentlemen: Century: 2009. Here there be spoilers! 49:57-1:06:42:Graeme's interesting rebuttal concerns whether bad art can be forgiven if it is suitably ambitious. We have a tussle of sorts and then move on to discuss when does the creator develop that "not so fresh" feeling. (Bonus: Graeme does a pretty great job of justifying our existence, pretty much). 1:06:42-1:15:37: Incentivizing the singles? Does it work? Brian Wood's The Massive, Ed Brubaker's Fatale, and more discussion of the Monkeybrain publishing plan and a discussion of what works in the direct market. 1:15:37-1:29:48: Who is stronger, Watchmen or Walking Dead? Fight! 1:29:48-1:38:32:The possible Thief of Thieves TV show and the need to keep creating new IP for Hollywood; and when or if the Big Two will come around on that. 1:38:32-1:42:37: Uncanny Avengers. We are a little fixated. Also, Graeme sings the ballad of Cafe Gratitude (except he doesn't sing and it's not a ballad). And then some clever Brass Eye jokes that Graeme has to explain to Jeff. Again. 1:42:37-1:47:36: On the other hand, Jeff did get to the comic store that week so he has that going on for him. His quickie reviews while Graeme listens on helplessly: Batman, Inc. #2, Fatale #6, The New Deadwardians #3 and 4; Mind MGMT #2; Prophet #26; Popeye #3 (which is awesome and must-have-ish); Tom Neely's Doppelganger; Flash #10; and Action Comics #11. 1:47:36-2:04:08: San Diego Comic Con! Graeme has two questions about it. Crazy predictions are made and anxiety dream stories are exchanged. [brrt! brrt! David Brothers alert! brrt! brrt!] Also, Jeff once again tries to coin the term "Nerd Vietnam" to describe SDCC. 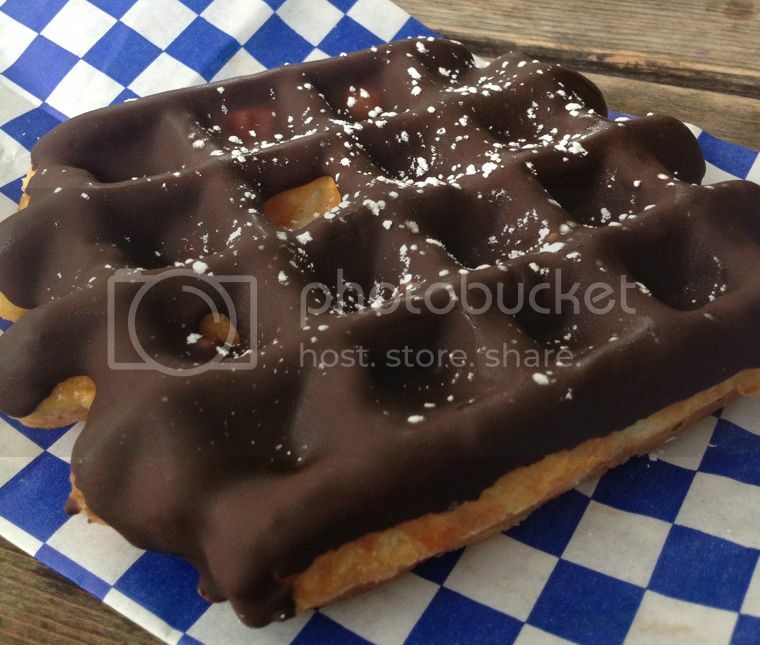 2:04:082:09:20-: Closing comments, and a few reviews of waffles from the Waffle Window. And then....sign off! And as always, we hope you enjoy--and thanks for listening!